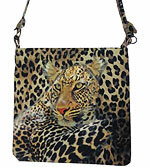 The Together Forever Bag is by Albena, a Bulgarian painter with a unique and colorful painting style. 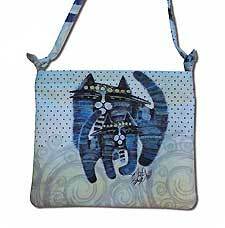 Her original artwork on this handbag is two blue cats on the front and back on a background of light blue with small polkadots. 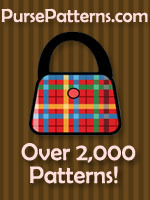 This bag is full of personality, as well as style! This handbag is made in the USA of durable but soft canvas that is washable and has a knotted shoulder strap measuring 38" with two 3 1/2" tabs and a drop of 23".This purse is the perfect crossbody bag because it is big enough to carry everything you need. 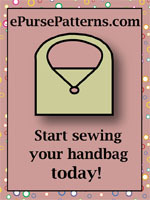 A secure top zipper keeps everything safe inside and there is an additional open pocket inside. Measurements are 13 1/2" x 12 1/2".